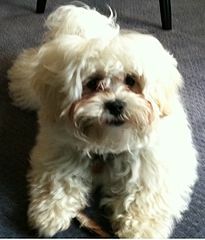 Shihpoo is a hybrid between a Poodle and a Shih Tzu. The result is a mix that can take the names, Shih Poo, Shih-Poo or Shihpoo depending on who you talk to or which canine hybrid registry you consult. Breeders have been crossing different types of dogs for thousands of years in the attempt to achieve a certain appearance, temperament or working ability. All of the breeds today that are considered purebred began in this way. It was a slow process that still continues today. All of our domestic dogs today would look like wolves if it weren’t for people selectively breeding for specific traits throughout the millennium. With hybrid mixes, breeders will use two purebred dogs but that is not always the case. Some will breed a hybrid with a purebred. Shih Poos have become very popular in the last 10 to 20 years as more and more people want poodle crosses. Poodles are considered more hypoallergenic than other breeds so they make a logical choice when coming up with a new hybrid. The labradoodle was the first cross and since then the poodle has been crossed with nearly all other popular breeds. A dog’s temperament is affected by both genes and environment. Puppies get half of their genes from their mother and half from their father. Their environmental helps determine what they will become. These environmental influences begin when they are conceived and includes what happens throughout pregnancy and then once they are born. The mother has more influence on the newborn than the father, not because of genetics, but because doggie dads just don’t participate much in the puppy rearing process. Besides the genetic background and the early environmental influences of the mother dog, human socialization plays a big role in how the puppies will turn out. Early interactions with litter-mates play a part as well. Once the puppies are old enough to go to their forever homes, it’s up to the new owners to continue the socialization. A dog’s adult personality and temperament is considered the sum of all these influences. In general, owners of Shihpoos will tell you that they are intelligent, and very trainable, but sometimes stubborn. Best of all, they are friendly, affectionate and very loyal. 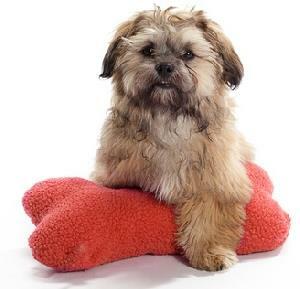 Shih Poos share traits of both the Shih Tzu and the Poodle; some inheriting more poodle-like characteristics and others seem more like the Shih Tzu. Both breeds have several things in common. They are both friendly and outgoing. Both are intelligent and trainable. The poodle is slightly more verbal than the Shih Tzu, but both make good watch dogs. The Shih Tzu has a reputation for being stubborn with a “what’s in it for me attitude.” Both breeds are gentle, loving, and loyal to their owners. Both are playful but make good lap dogs. Both are considered to be good family dogs and both do well with children who have been taught to respect dogs. 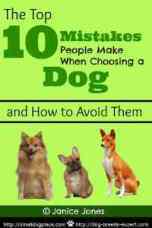 There is an urban myth about the health benefits of hybrid dogs. According to the legend, mixed breed dogs or mutts are healthier than their purebred counterparts. One part of the myth is somewhat true. Many purebred dogs suffer from congenital problems through generations of inbreeding. Some of these diseases that are genetic in nature can be reduced when two parents are breed that have no common ancestry. Some diseases are more common in one bred, but rare in others. Some diseases plague many different breeds. All dogs, purebred, hybrids, and mutts can all suffer from infectious diseases such as Parvo or Distemper, all can have problems with worms or intestinal parasites, all can be affected by fleas and ticks, and all can suffer from poor diet or other environmental influences. Some of the problems that affect Shih Tzu dogs include eye problems, brachycephalic syndrome, hip dysplasia, renal dysplasia to name a few. Many problems associated with Shih Tzu stem from our desire for large eyes and short noses. Both are not present in the poodle, so in this respect puppies born from Shih Tzu – Poodle parents are less likely to encounter these issues. Poodles, on the other hand suffer from skin tumors, bladder stones, Cushings Disease and tracheal collapse. These problems are also found in the Shih Tzu. The bottom line is that Shih Poo puppies are probably less prone to congenital problems but still must be protected from diseases originating in the environment. Shih Poos will generally have different types of hair ranging from curly to straight depending on how the genes are scattered. 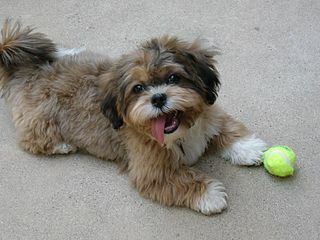 Most are likely to have a wavy or curlier coat than a purebred Shih Tzu. Their hair can resemble the coarser nature of the poodle or the softer wavier version of a Shih Tzu. Brushing and combing is required daily if not every other day to keep mats at bay and professional or D.I.Y. 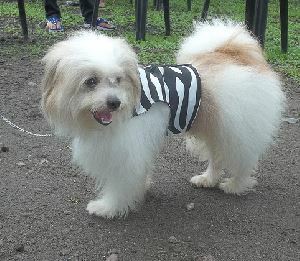 clipping is recommend about every 6 to 8 weeks to maintain a cute puppy dog look. During these 6-8 week grooming sessions, nails should be clipped, hair trimmed between the paw pads, and a sanitary trim to keep those “private parts” clean. Ears should be checked and cleaned if necessary. Both breeds have hair that continues to grow within the ear and removing the hair allows for more airflow. This helps prevent ear infections. Bathing is needed about every 2 to 3 weeks depending on the dog’s activities. Teeth brushing needs to occur regularly and a good face wash once per day removes any dried eye mucus and helps minimize tear stains. Both breeds are prone to tear stains which are hard to eliminate altogether. Both breeds are also very prone to dental disease so a tooth brushing is vital to prevent later problems and costly vet bills. 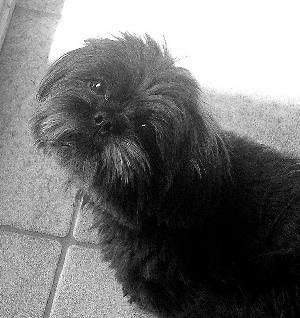 You have two choices when it comes to adopting a Shih poo, either through a breeder or a rescue/shelter. Either way, you should not enter the role of pet parent with blinders on. Know what you are getting into in terms of costs and responsibilities. Puppies are cute and its very easy to fall in love with the first one you see. If you decide that you want to purchase through a breeder, first do your homework. Visit the website, call or email for more information. Find out as much information about the background of the puppy before you purchase. Visit the breeder and meet the puppy’s parents. See where the puppy is being raised and how he/she is being socialized. Ask about temperaments and health issues in both parents. The breeder should be able to answer any of your questions. If something doesn’t feel right, it probably isn’t. Remember, these dogs can live to be 15 years old and sometimes older so it’s a long term commitment. If a rescue or shelter is more your style, be prepared to wait. These are not the type of dogs that are typically surrendered to shelters, but it’s not impossible to get a wonderful Shih Poo from a shelter if you are diligent and patient. Again, it’s very important to do your homework. Find out what you can about the dog, his estimated age, background and any personality quarks that have been uncovered while he’s been in care. Many times an adult dog from a shelter will make the perfect pet. They may already be house trained and are well passed the spirited puppyhood months which makes them much easier to manage. If you are unsure about adopting a Shih poo but think this is a good match for you, consider an older adult or senior dog. They are usually settled, relaxed and much mellower than younger dogs. 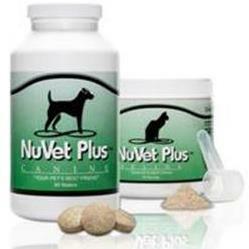 Be prepared for more vet visits and the associated costs. But the commitment will be shorter and you can feel good that you are giving a senior a second chance.